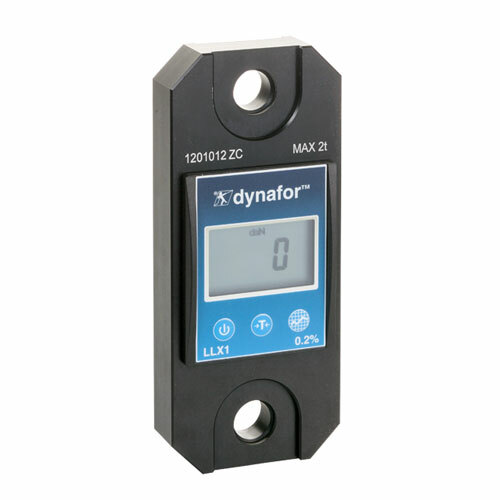 The Dynafor LLX1 dynamometer is a precision force sensor used to measure forces and indicate loads. Its shape enables the use of standard shackles on both ends (optional). It functions in all positions for the measurement of in-line forces as well as for weighing applications. The sensor generates an electrical signal that is proportional to the load being applied. This signal is processed by a micro-processor analyzer and then displayed on the built-in LCD display.